Sometimes all we need in order to change our current reality is a little wisdom, spoken to us with gentleness and a pure heart. I came across this powerful Lakota prayer a few days ago and wanted to share it with you. I hope it helps you on your path. I know it did for me. According to certain tribes, the Sacred Space is the space between exhalation and inhalation. To Walk in Balance is to have Heaven (spirituality) and Earth (physicality) in Harmony. At the core of this timeless wisdom is the word “trust”. When did we stop trusting ourselves? When did we start giving that trust, that power, away? In many ways the spirit path is a process of reestablishing that trust with the infinite that resides within us, just waiting to be activated. Just beautiful! We all need to give ourselves permission to take that sacred space many times a day. 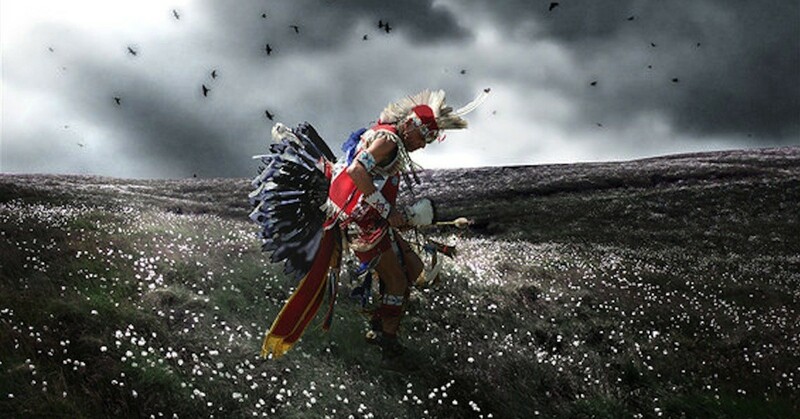 Lakota language is language of Spirits. Do you know, how this prayer sounds on Lacota? It loosing energy after translation. Please, can you give original prayer on Lacota? Love your prayer. Thank you. I need it. Thank you for your prayer. I need it right now! Do you have any paper books with these prayers? Thank you for sharing this wonderful intention – it arrived at the perfect time! It is so simple and this is what the Bible stories are all about, the transmigration of spirit. Such a shame that all religions have been hoodwinked into believing otherwise and resort to killing and maiming. In spirit I am who I am, Free! Thank you for the reminder to take the time to e in sacred space. Sharing this prayer with respect and gratitude. I asked for a prayer to read at our Fall Equinox gathering, this came to me. This teaching will be much appreciated between myself and my sisters. Thank you.